As you may already know, Greek yogurt is taking the world by storm, and with good reason. 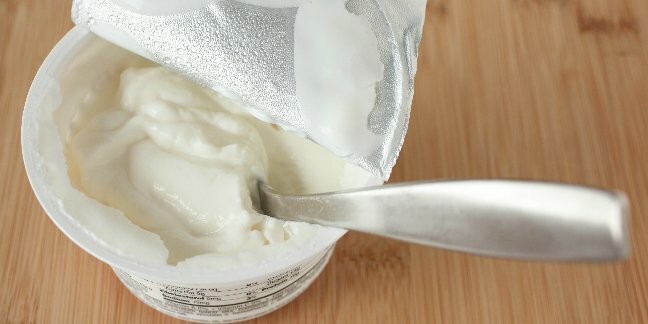 Many are finding that the extra creaminess of Greek yogurt is more enjoyable that regular yogurt. Along with the super creamy texture, Greek yogurt has a nice tang and is less sweet. Parents want to know, can babies have Greek yogurt or must they stick to feeding their babies regular yogurt? The good news is yes, babies CAN eat greek yogurt! There are a few things to keep in mind when feeding your baby yogurt however. The age for introducing babies to yogurt does vary with 8 months being the most often recommended age. Many pediatricians do say that yogurt at 6 months makes a great first food. As with giving your baby regular yogurt, make it plain yogurt. You’ll cut down on the sugar and you’ll be able to make your own flavors, just for baby’s preferences and developing palate! Try mixing in blueberry, banana, apple or pear puree; you can even add veggies! An Additional Benefit of Greek Yogurt for Babies! Learn more about Yogurt for Babies on the Wholesome Baby Food page.